Date Night | how's it going, eh? Sunday, I officially deemed Date Night. Weeks of moving, packing, unpacking, hauling, lifting, shoving, driving + organizing, were really getting to me, + I straight up demanded it!!! After Jeff did some computer work for his job for most of the day, (not part of my Date agenda, but I’m pretty patient) we departed for our date destination in Banff. 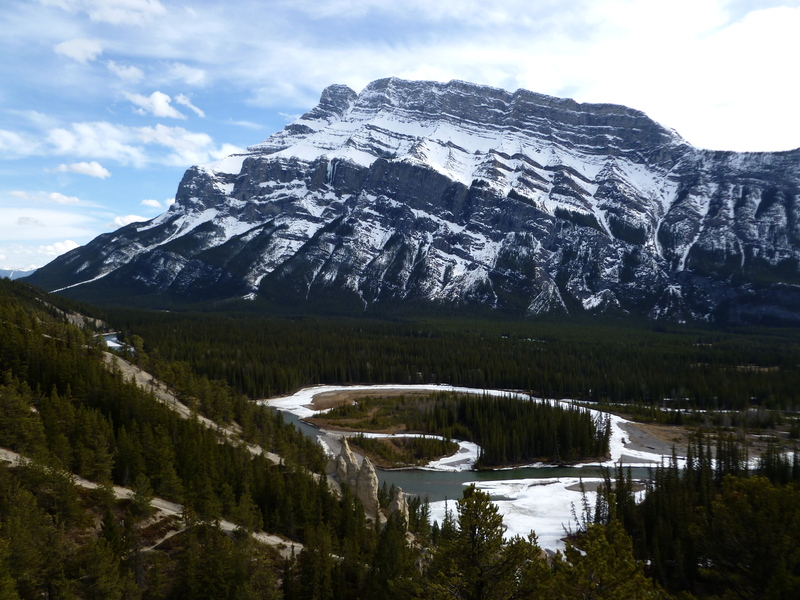 First stop was a drive up to gaze upon Mount Rundle. Gorgeous, no?! I don’t think we’d been on a date since our wedding last September, although technically a honeymoon is not considered a date. 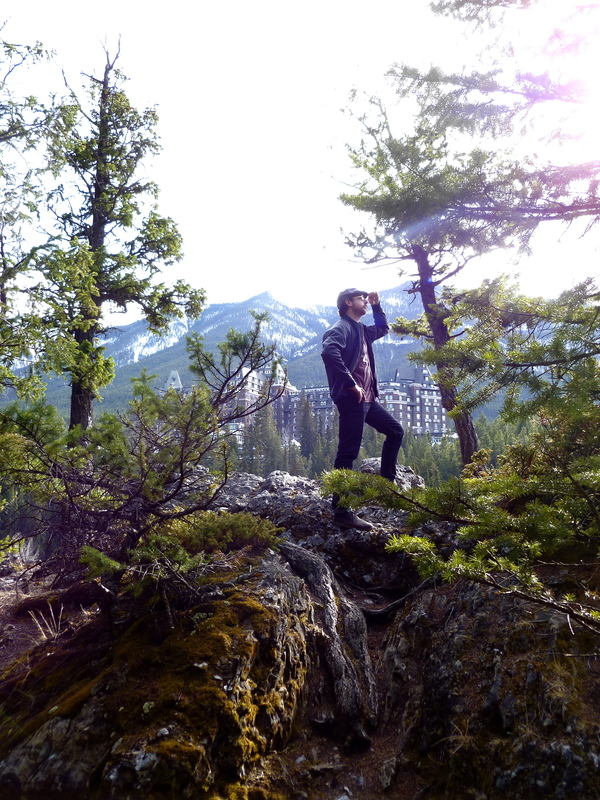 Next, we rambled over to the luxurious Banff Springs Hotel. 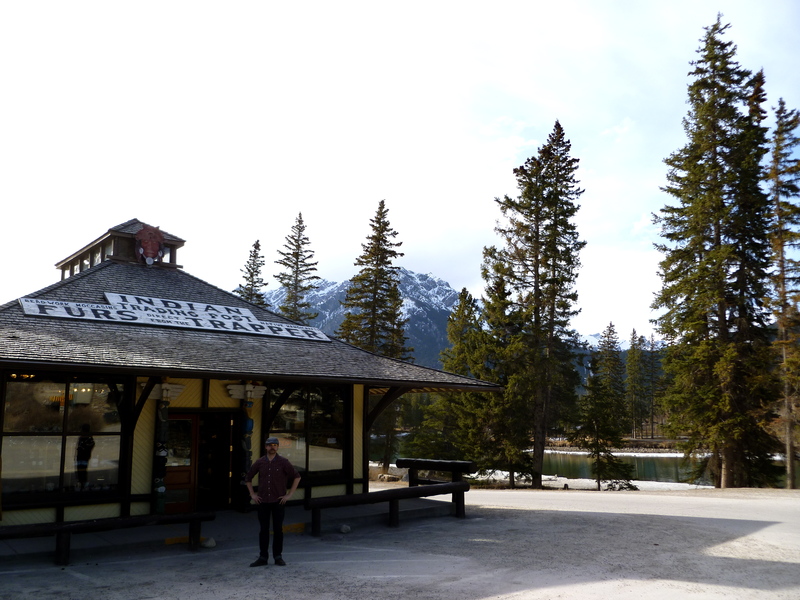 But, of course in typical Shelli/Jeff fashion, we scrambled down a dirt hill opposite the hotel, on the other side of the Bow River, avoiding the locust filled tour buses. It is great fun to do this without the proper footwear – NOT!!!! Thanks for the heads up, Jeffrey! But it was worth it because we had the edge of the river all to ourselves. Photo shoot time!!! Do you like the hotel in the background? I tried to get a proper photo of the hotel but it was just flat + boring. This way, Jeff looks like an English lord standing in front of his estate on an afternoon jaunt in the woods, looking for foxes or something along that manner. Indeed! 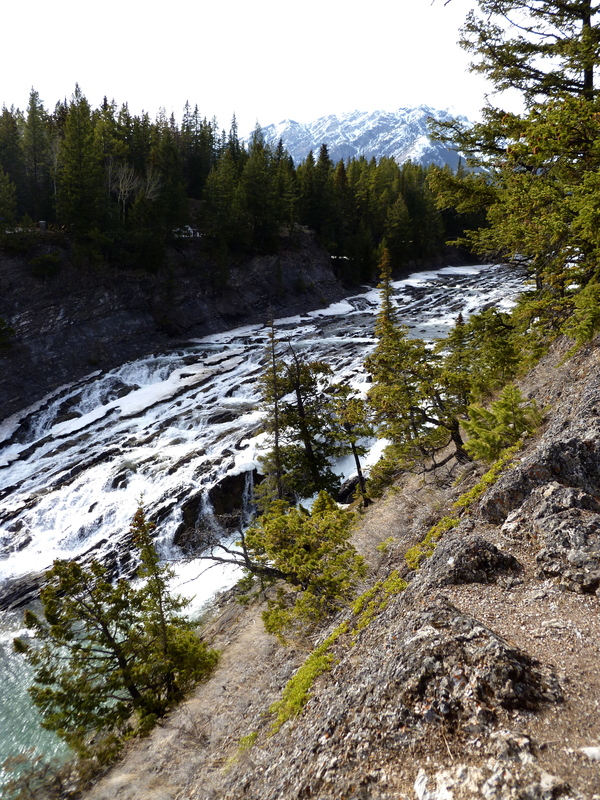 Precariously on the edge of a cliff to get this shot of the Bow Falls. The tourists across the river behind safety railing looked really confused + freaked out watching us standing on the precipice – ooh, dramatic. 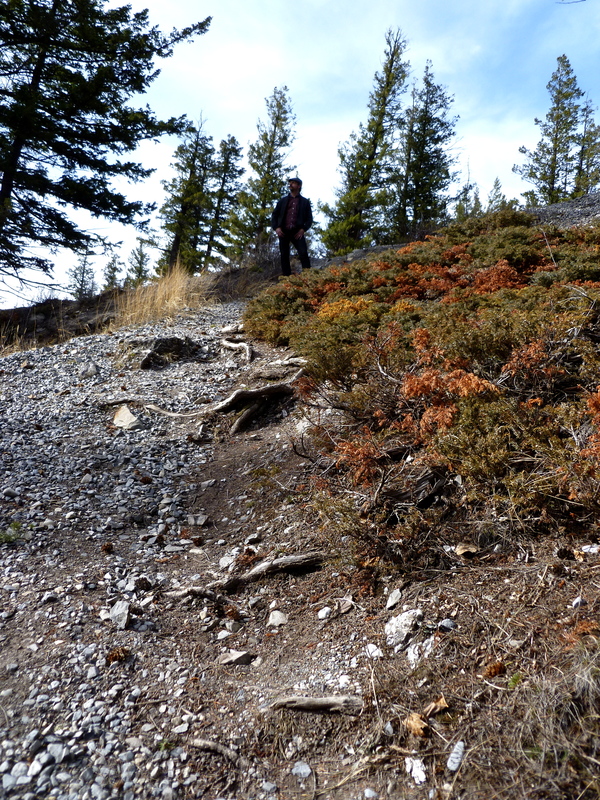 Clambering back up the steep hill with great loose dirt to easily lose your footing on. Getting nice + sweaty for Date Night. Oh, Jeff – you romantic! 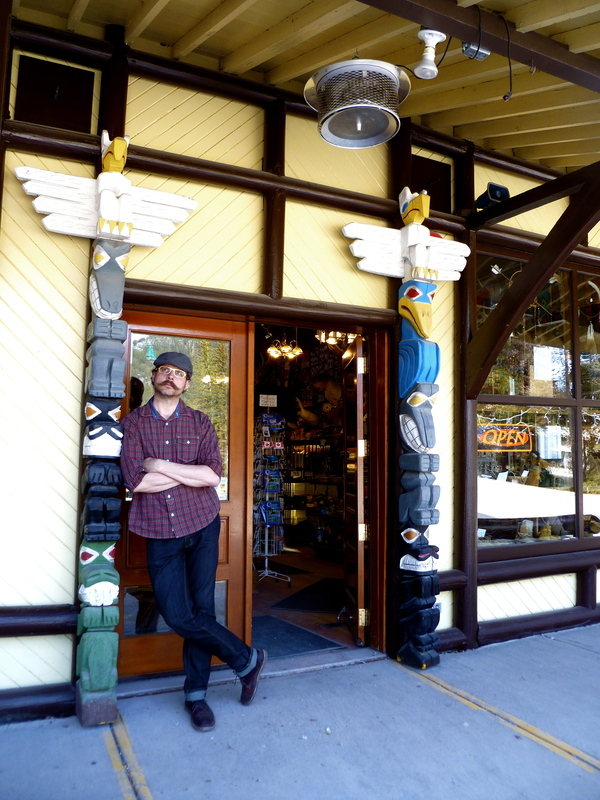 Most important stop in Banff – my favorite store in the entire universe – The Banff Indian Trading Post!!!! This place is very special to me. It’s where Jeff told me to go when we first met + where he picked out my engagement ring. Surprisingly, I’ve never actually visited the shop with him. 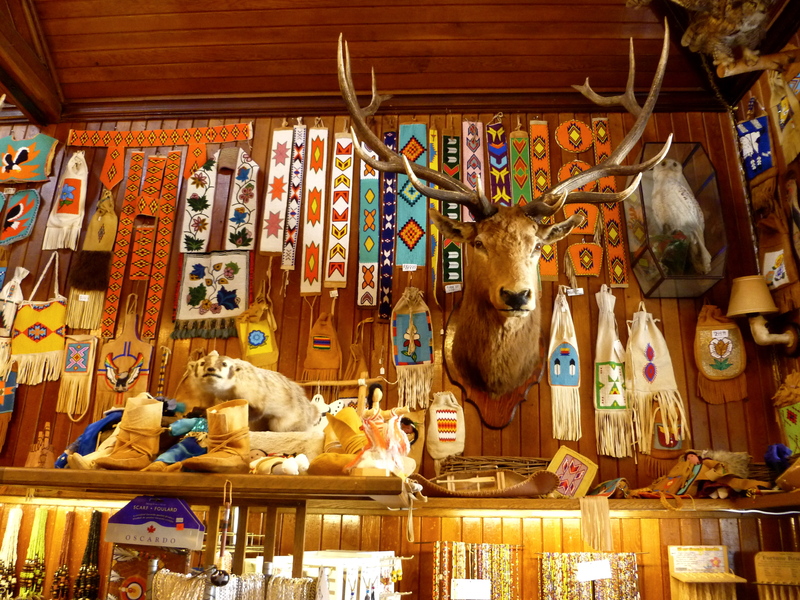 They have an extensive collection of Stoney Nakoda beadwork that I want to make alllll miiiine. Also, Karen the owner brought out a White Owl piece!!!! Who’s White Owl??? Why, it’s none other than my Jeff! “Huh?”, you utter. 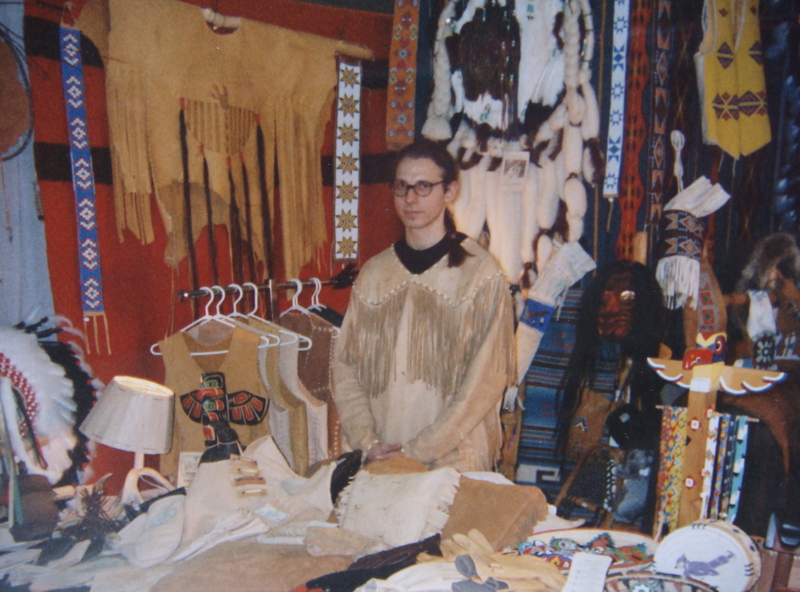 When Jeff was following the Grateful Dead (spare the jokes, please) he used to sell his leatherwork at the shows + at the Trading Post under the Native Canadian name, “White Owl”. ‘Tis true. I married a white native. So cute!!! One of my favorite pictures of Jeff. Is he not perfect for me, or what?! A friend of mine saw this picture + said, “He looks like a hippie Harry Potter.”. Guffaw!!!! Okay, let’s get serious. 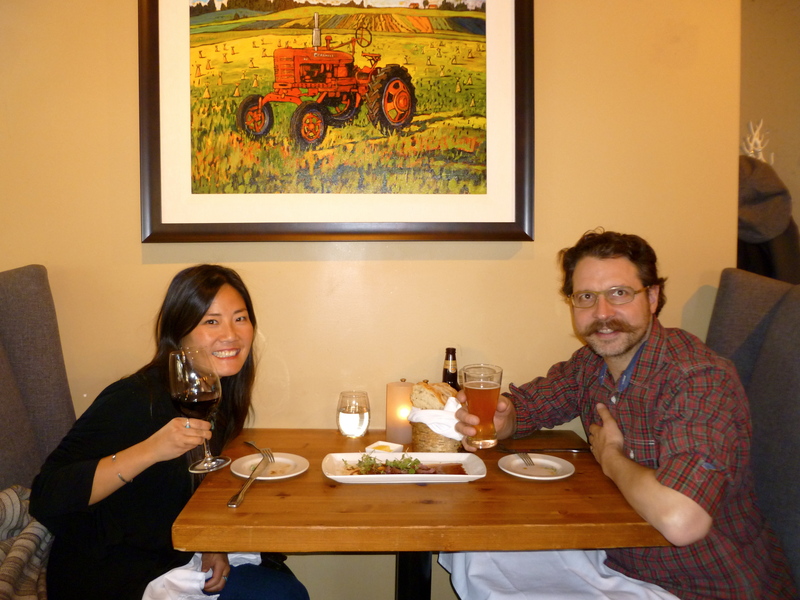 Our final destination was The Bison restaurant. It’s kind of a big deal. 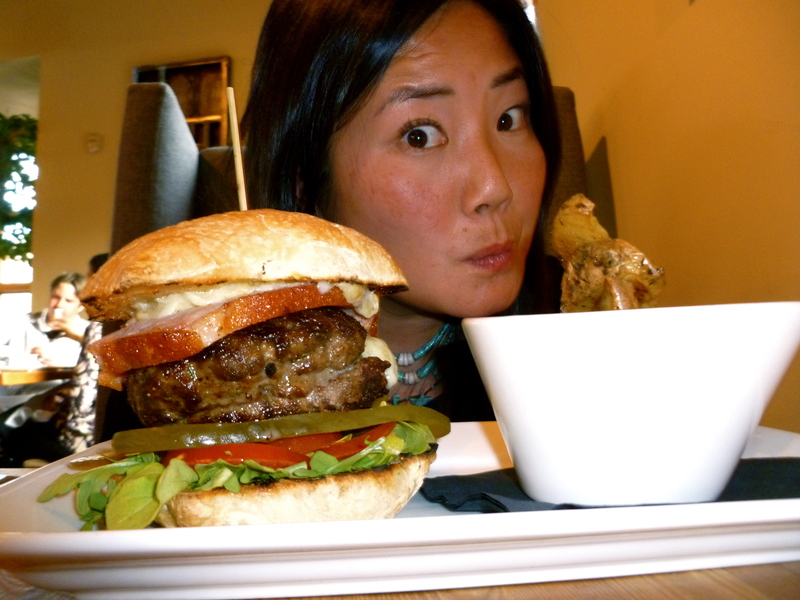 Here’s my bison burger. Please ignore the tomato face. After one glass of wine my face was hot + red – I looked like I’d had a whole jug to myself, like a crazy wino. Darned pesky Asian genes. 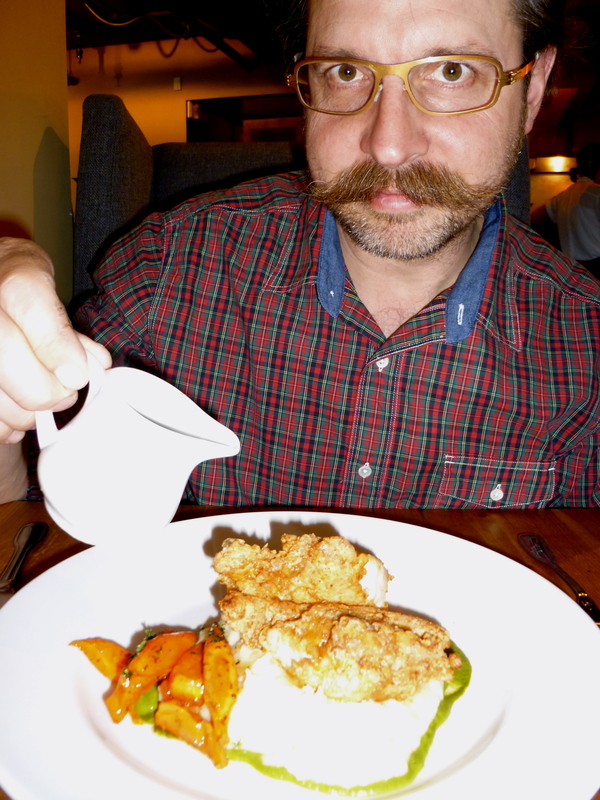 Jeff ordered the cast iron skillet fried chicken. We also had indulged in appetizers + dessert + they had to roll us out the door. What a fun evening. Although tonight was officially “Date Night”, I have so much fun spending time with Jeff no matter what the occasion. That’s as sappy as it’s gonna get, y’all!!!! What a perfect date night! The scramble down the hill will just help it stand out in your memory. 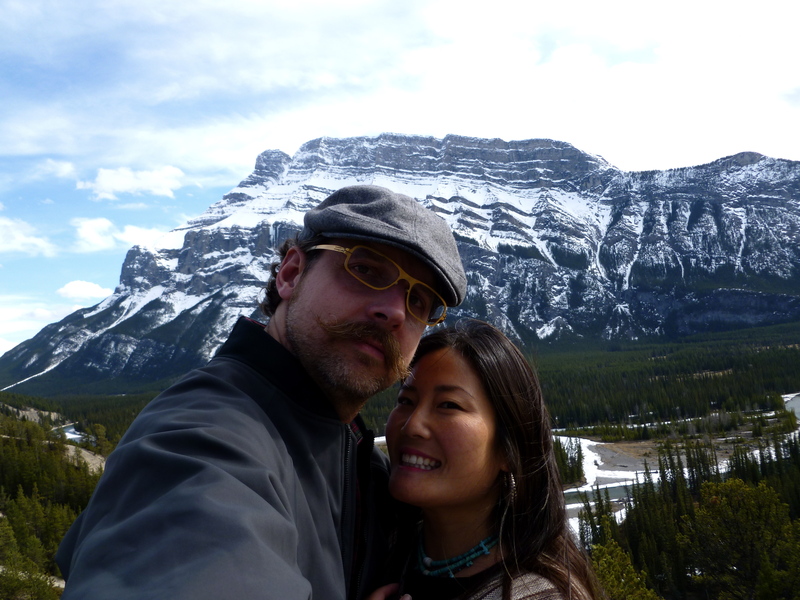 I’ll have to show Adam your snowy pictures of Banff, we’ve never seen Mt. 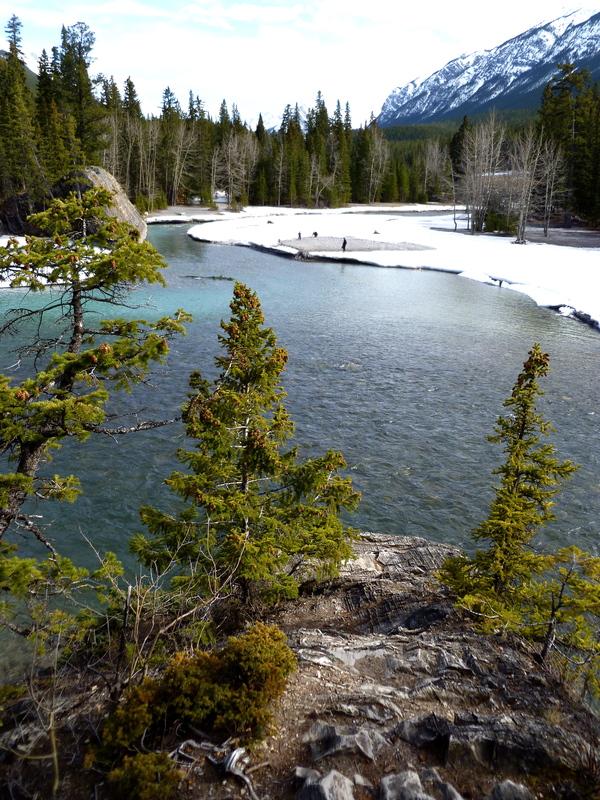 Rundle snow-capped before. So beautiful! 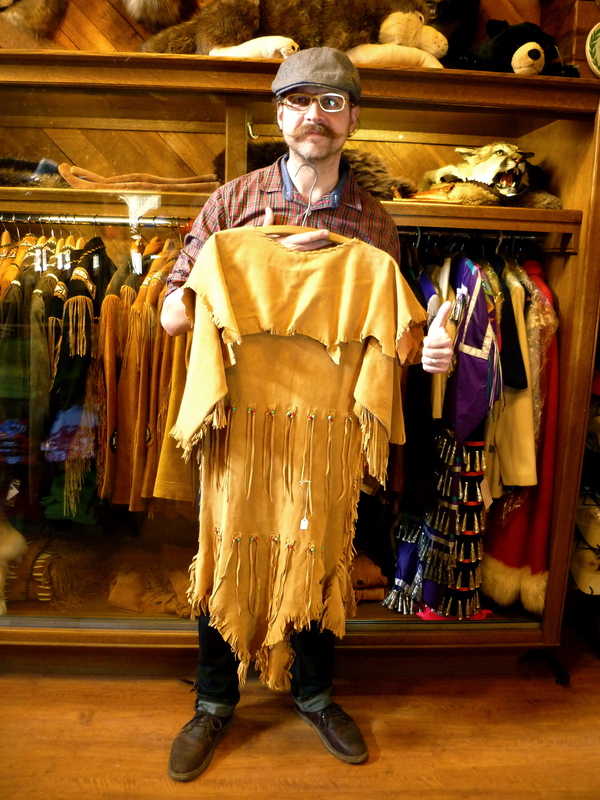 you, adam, solly + enid should come move to canada!!! i’d be SO happy!!!!! miss you! It’s probably still icy this time of year, but that can be half the fun. 🙂 I highly reccomend it! xo L and Kisses from Keiko and Hana too! Thanks, Liz!!! Thanks for keeping my precious turquoise safe!!! Miss you guys + the Pacific Northwest!! !